Phytocompounds have been used in cosmeceuticals for decades and have shown potential for beauty applications, including sunscreen, moisturizing and antiaging, and skin-based therapy. 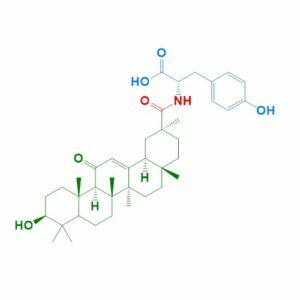 The major concerns in the usage of phyto-based cosmeceuticals are lower penetration and high compound instability of various cosmetic products for sustained and enhanced compound delivery to the beauty-based skin therapy. To overcome these disadvantages, nanosized delivery technologies are currently in use for sustained and enhanced delivery of phyto-derived bioactive compounds in cosmeceutical sectors and products. Nanosizing of phytocompounds enhances the aseptic feel in various cosmeceutical products with sustained delivery and enhanced skin protecting activities. Solid lipid nanoparticles, transfersomes, ethosomes, nanostructured lipid carriers, fullerenes, and carbon nanotubes are some of the emerging nanotechnologies currently in use for their enhanced delivery of phytocompounds in skin care. Aloe vera, curcumin, resveratrol, quercetin, vitamins C and E, genistein, and green tea catechins were successfully nanosized using various delivery technologies and incorporated in various gels, lotions, and creams for skin, lip, and hair care for their sustained effects. However, certain delivery agents such as carbon nanotubes need to be studied for their roles in toxicity. 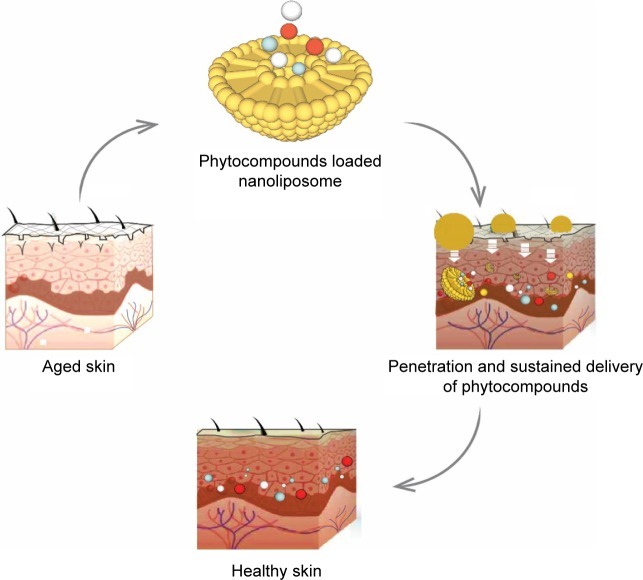 This review broadly focuses on the usage of phytocompounds in various cosmeceutical products, nanodelivery technologies used in the delivery of phytocompounds to various cosmeceuticals, and various nanosized phytocompounds used in the development of novel nanocosmeceuticals to enhance skin-based therapy. Skin whitening products are commercially available for cosmetic purposes in order to obtain a lighter skin appearance. They are also utilized for clinical treatment of pigmentary disorders such as melasma or postinflammatory hyperpigmentation. Whitening agents act at various levels of melanin production in the skin. Many of them are known as competitive inhibitors of tyrosinase, the key enzyme in melanogenesis. Others inhibit the maturation of this enzyme or the transport of pigment granules (melanosomes) from melanocytes to surrounding keratinocytes. In this review we present an overview of (natural) whitening products that may decrease skin pigmentation by their interference with the pigmentary processes. The biomedical effects of the natural phenol pterostilbene are of great interest but its bioavailability is negatively affected by the phenolic group in position 4′ which is an ideal target for the conjugative enzymes of phase II metabolism. We report the synthesis and characterization of prodrugs in which the hydroxyl moiety is reversibly protected as a carbamate ester linked to the N-terminus of a natural amino acid. Prodrugs comprising amino acids with hydrophobic side chains were readily absorbed after intragastric administration to rats. The Area Under the Curve for pterostilbene in blood was optimal when prodrugs with isoleucine or β-alanine were used. The prodrug incorporating isoleucine was used for further studies to map distribution into major organs. When compared to pterostilbene itself, administration of the isoleucine prodrug afforded increased absorption, reduced metabolism and higher concentrations of pterostilbene, sustained for several hours, in most of the organs examined. Experiments using Caco-2 cells as an in vitro model for human intestinal absorption suggest that the prodrug could have promising absorption profiles also in humans; its uptake is partly due to passive diffusion, and partly mediated by H+-dependent transporters expressed on the apical membrane of enterocytes, such as PepT1 and OATP.